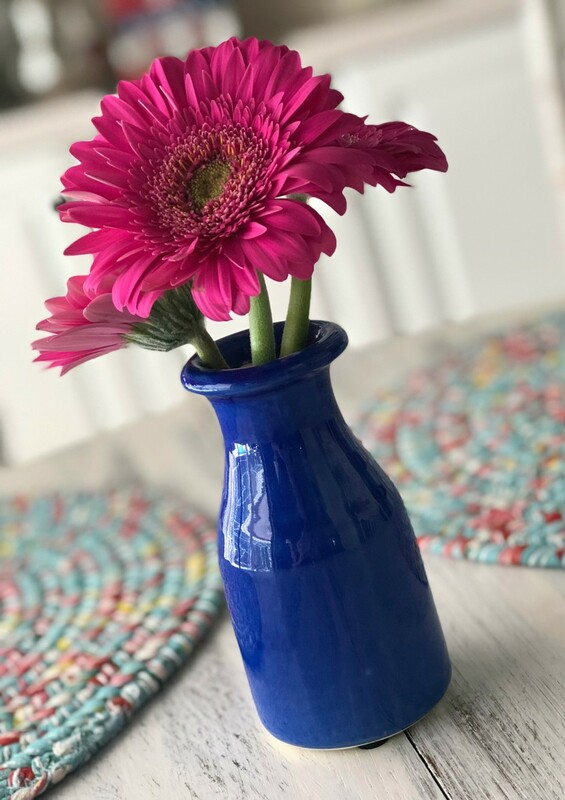 I&apos;m a big believer in date night...especially when we&apos;re talking about a date night in. The beginning of the school year is SO hectic for our family. The hubs and I simply want to sit on the couch and relax at the end of a busy week. That being said, if we don&apos;t pay attention, we&apos;re spending all that couch time with the kids and that&apos;s not good for anybody. Parents need their "us" time. I wish we could get it together enough to leave the house for a weekly date night, but right now that is just not in the cards. I&apos;m not ready to leave it there though. A date night in after the kiddos go to bed can be just as romantic. And if I don&apos;t have to spend a ton of time in the kitchen, it&apos;s doubly romantic. Bwah! Thank goodness for Gorton&apos;s Shrimp Bowls! I&apos;ve made no secret of the fact that I don&apos;t particularly enjoy cooking. Baking I&apos;ll do all day long, but cooking? Eh. I can&apos;t take all that prep. It is simply not my jam. My hubs, on the other hand, doesn&apos;t mind cooking at all. He quite enjoys it in fact. So, he makes the bulk of the meals in our house. And that&apos;s why he deserves an off day. He also deserves to not have to spend time with a wife who&apos;s cranky because she had to hang out in the kitchen for too long. Bwah! 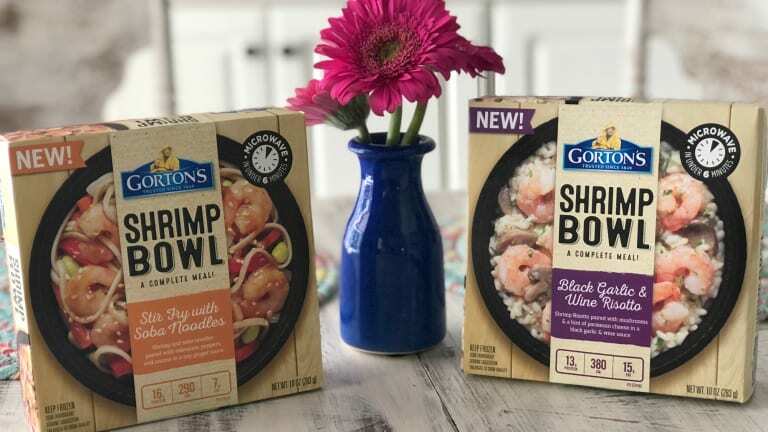 With Gorton&apos;s Shrimp Bowls, our main dish is taken care of and we can even have different flavors if we so desire. 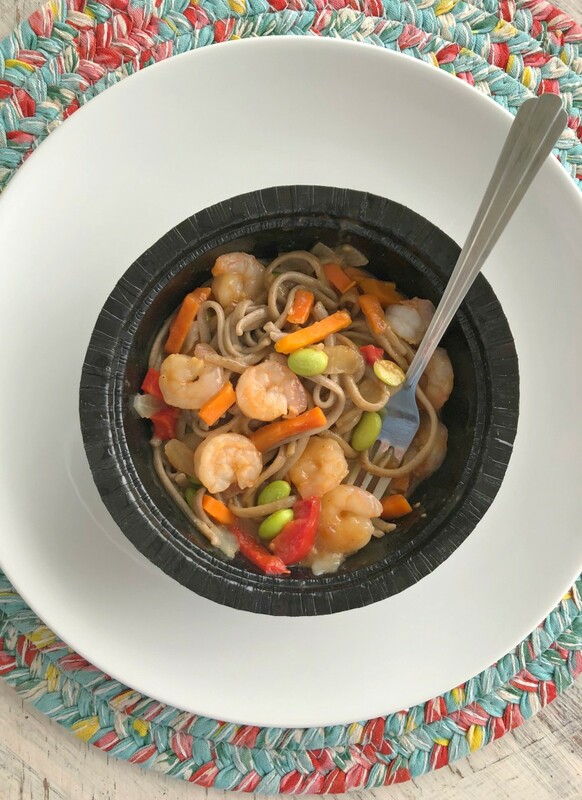 My honey is big on garlic, so the Black Garlic & Wine Risotto is perfect for him while I&apos;m partial to the Stir Fry with Soba Noodles! After I heat those up, all I have to do is throw together a quick salad, open a bottle of wine and light some candles. Easy peasy! * Cook an easy meal and enjoy adult conversation by candlelight. 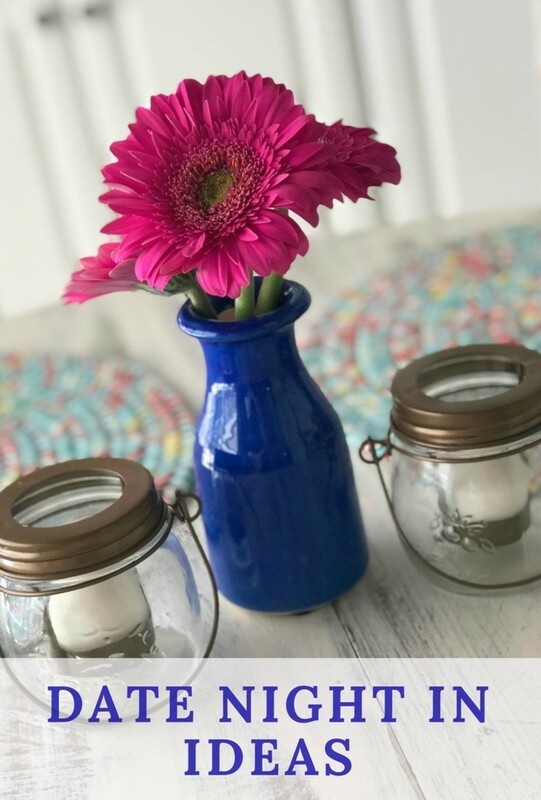 Even a simple dinner at the kitchen can be romantic when candles and even fresh flowers are involved! * Have a movie night in. The best part about watching a movie at home is that you can rock athleisure and drink wine. Just sayin&apos;. * Play a board game. We love a good old fashioned family game night, but do you ever play one just the two of you? It&apos;s loads of fun! * Go for a night swim. Obviously, you need to have access to a pool for this to work, but if you do, I urge you to make use of it in the evening sans kids! * Watch the stars. Grab a glass of vino and snuggle up on the porch. We&apos;ve had some of our best conversations stargazing! How do those date night in ideas sound to you? Hopefully I&apos;ve properly inspired you to plan a little romantic "date" for you and your significant other very soon! 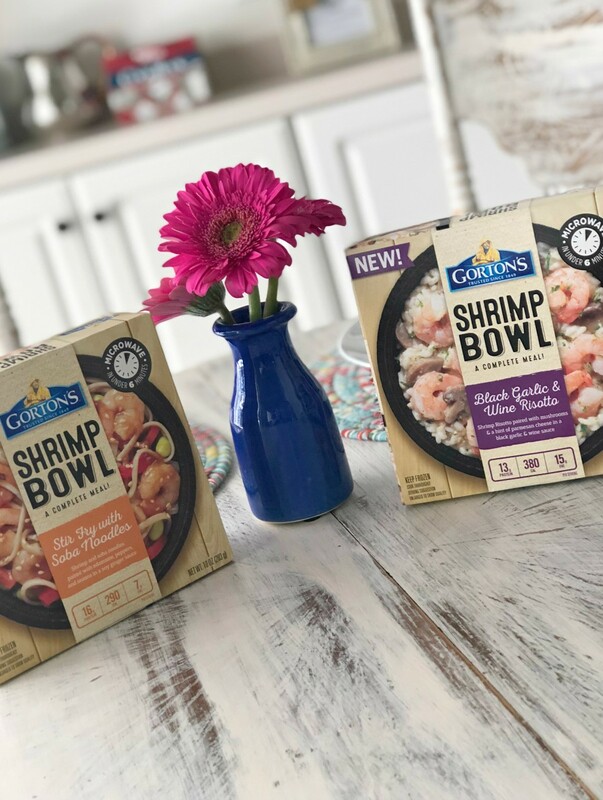 Remember, with Gorton&apos;s Shrimp Bowls, you can serve up a delicious dinner in mere minutes, under 6 minutes in the microwave to be exact! Spend your time on romance not on cooking! Just push those buttons, walk away and in no time flat you&apos;ll have a tasty meal at the ready. I know this time of year can be exhausting, but your relationship will thank you! And for more date night inspiration, check out our date night printables!